¡I love the Spanish upside-down exclamation and question marks! ¿Don’t you? I’m serious. In fact, when taking notes or otherwise writing by hand (pretty rare these days), I use ¡ and ¿ in my English. Both marks give the reader a useful heads-up that a text is about to depart from simple declarative prose. It’s surprising that ¡ and ¿ haven’t caught on beyond Spanish — not even in Catalan or Portuguese. 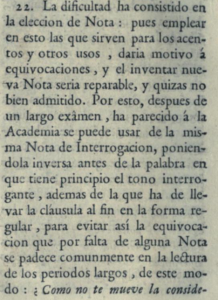 This “heads-up” function motivated the Real Academia, or Spanish language academy, to invent the inverted marks in the first place, back in 1754. 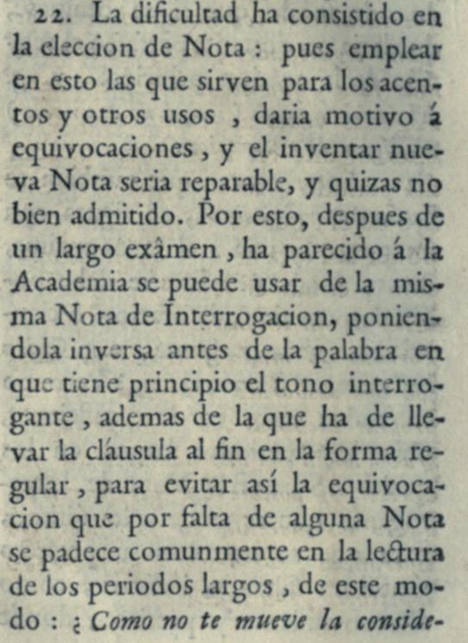 Thirteen years earlier, the Academía had published its first Ortographía, or spelling guide, of the Spanish language (the title was modernized to Ortografía in all later editions). The 1741 Ortographía proposed that normal ! and ? marks do double duty to mark both ends of exclamations and questions, as in ?quien me llama? or !que misericordioso es Dios! The second time, they got it right, thus providing one of the world’s few examples of successful linguistic innovation by committee. 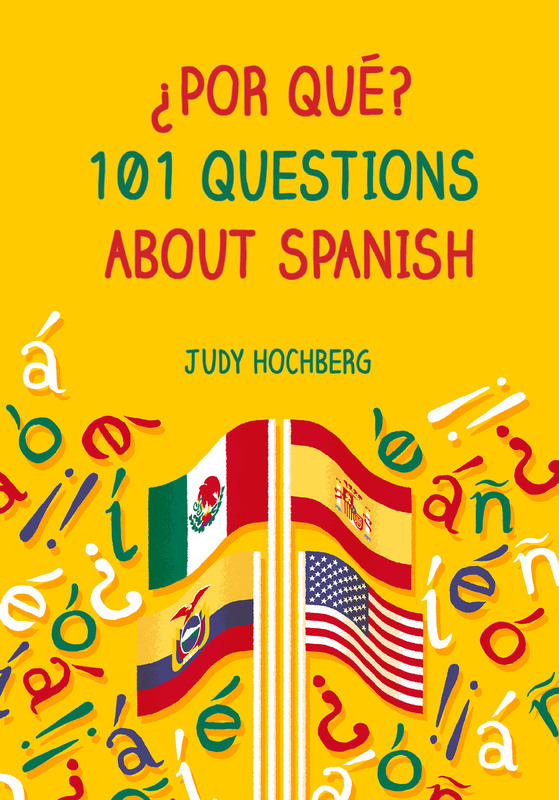 This entry was posted in The written language and tagged Academia, punctuation, Spanish, writing on 4 April, 2013 by jhochberg.